Yesterday evening, we received word that the State Senate would be considering a package of bills this week that would allow concealed weapons in gun-free zones like schools or churches. MEA strongly opposes this legislation for the safety of students and school employees alike, and has been part of a coalition fighting similar legislation for several years. 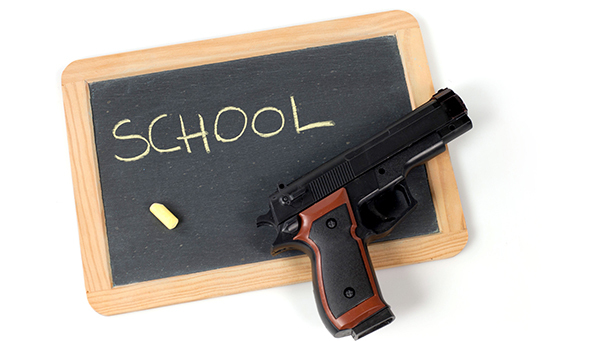 The answer to gun violence is not more guns in schools – in fact, it’s a recipe for disaster. Making it legal to conceal a pistol in a preschool is a tragedy waiting to happen, regardless of the training concealed weapon holders undergo. Instead of these bills, the Legislature should simply close the controversial legal loophole allowing open-carry of guns in schools and make gun-free zones truly gun free. Call your State Senator TODAY and urge them to vote NO on SBs 584-586. Tell your Senator that – as an educator – you want fewer guns in school, not more. We’re hearing the Senate plans to rush this legislation through before the hunting break, so urgent action is needed.